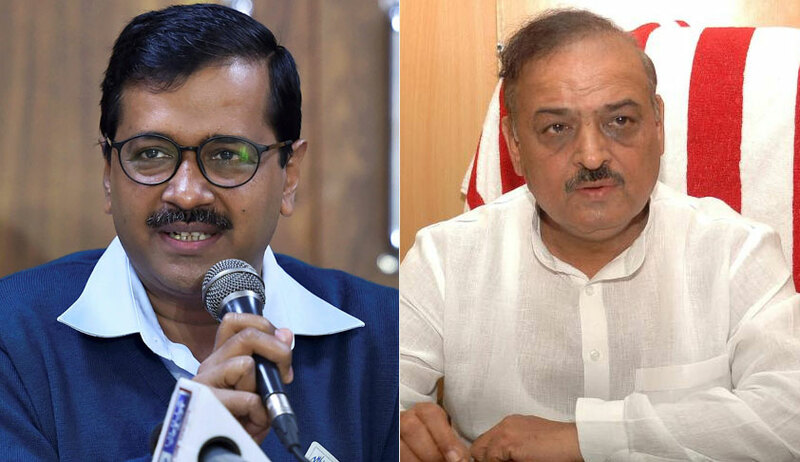 The Supreme Court today pulled up BJP MLA Om Prakash Sharma and municipal Councillor Gunjan Gupta, against whom it had earlier issued show cause notices for contempt for allegedly obstructing authorities from carrying out the sealing drive in the Shahdara area, for insulting Delhi Chief Minister Arvind Kejriwal. Both were present in the court. The bench however dropped the contempt proceedings against them saying it has gone through the CD containing video footage of protest and it appeared that Sharma and Gupta were not obstructing the authorities. “OK you were not obstructing sealing but waving the flag of a particular party and insulting the Chief Minister of Delhi. How can you do that ? He is a responsible person. You cannot insult the CM of Delhi or of any state .it is clear that you want to convey that you can do anything ..you are destroying the institution”, Lokur told the lawyers representing Sharma and Gupta. On February 10 the bench had issued contempt notices against the MLA and councilor while directing the Delhi Police to take action against violators without fear and being influenced in any manner even if the culprit is a big fish. “Let the monitoring committee be provided proper security so that they are in a position to carry out their duties even if the state authorities do not deem it fit to carry out their duty in accordance with law,” Justice Lokur had ordered. The notices came after senior advocate Ranjit Kumar, assisting the court, informed the bench about the gathering that was called by Sharma and Gupta to allegedly stall the drive, which is taking place on the orders of the apex court.